Almost 15 months after the roll-out of MiFID II, there have been countless articles, panels and media discussions about the intended and unintended costs of new regulation. However, rarely have we talked about who the winners are from MiFID II. This article addresses a few of those who are benefitting from the regulatory mandate to unbundle research from execution. One of the most obvious “winners” to come out of MiFID II’s research unbundling rules are those institutional investors who are deemed to be asset owners including pensions, insurance companies, sovereign wealth funds, & endowments and foundations. It is this group of investors who have historically paid the most in the form of bundled commissions for sell-side and independent research. What makes this even worse is the fact that these research expenses were traditionally not transparent. 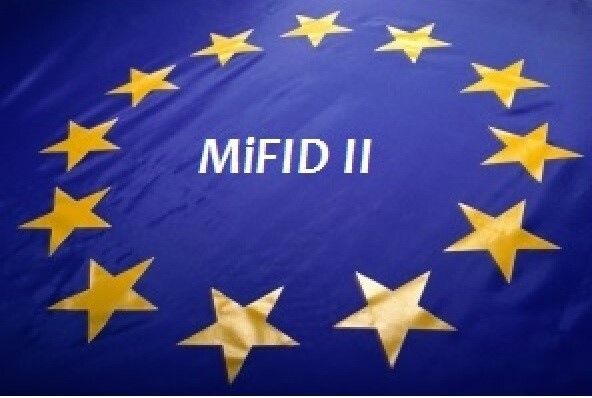 However, the implementation of MiFID II has reduced research costs that asset owners were historically forced to pay. According to Andrew Bailey, CEO of the U.K. Financial Conduct Authority research costs incurred by UK asset managers investing in equities were £180 million ($232 million) lower in 2018. On top of this, many asset managers have chosen to eat research costs themselves versus asking their clients to pay for it. Our estimates suggest asset managers are taking on $329 mln in research expenses that they are no longer passing onto their customers. The FCA explains that the overall savings from MiFID II rules could reach £1 billion over the next five years. These savings will be enjoyed most by large institutional investors. Another group who are believed to have benefitted from MiFID II are the largest asset managers due to the market power they have been able to wield in their negotiations with sell-side and independent research providers. According to a survey of 496 portfolio managers conducted by the CFA Institute in December 2018, firms with assets under management between €1 billion and €20 billion spent 5.6% less on research than they did the prior year; while mangers with AUM between €20 billion and €250 billion saved around 7.6%; and for firms with AUM of more than €250 billion, their research budgets decreased 11% on average. In other words, the largest asset managers either saved most on external research once MiFID II went into effect, or else their research expenses went up the least if they decided to pay for research from their own P&L’s. We heard from a number of asset managers that in the roll out of MiFID II, large EU pension funds threatened to fire them if they refused to pay for research out of their own pockets. This prompted many of them to pay for research from their own P&Ls. However, it is not clear whether these pension funds shifted their assets from managers who didn’t pay for research from their P&Ls to firms that did. The big question is whether these large asset managers will also be able to attract new clients because they are willing to pay for research themselves, while their smaller brethren continue to force their institutional clients to pay for research from the commissions charged against their assets? Clearly, if this starts to take place in a meaningful way, large asset managers will become obvious winners as a result of MiFID II. Another set of unexpected winners from MiFID II are specialized investors, including activist investors and investors who focus on small-cap companies. Most market watchers agree that MiFID II has reduced coverage of small and mid-cap companies. According to a survey by Peel Hunt and the Quoted Companies Alliance, 62% of UK investors say that since MiFID II was introduced, less research is being produced on mid and small-cap companies, with a third of survey respondents expecting further reductions in both the volume and quality of research in the future. 70% of fund managers add that their access to research providers has decreased as a direct consequence of MiFID II, with 56% confirming that they are worse off as a result. Additionally, 41% of the companies polled and 63% of investors say the regulation has had a ‘detrimental’ and ‘negative’ impact on the liquidity of UK mid and small-cap shares over the past 12 months. Asset managers who specialize in small and mid-cap investments could actually have an advantage over generalist investors as the research they conduct internally will be less readily available from the sell-side in a post-MiFID II world. Ultimately, this should enable them to more efficiently find and invest in mispriced small and mid-cap stocks. We suspect that the biggest winners from MiFID II will be Fintech firms offering data and technology systems to make research more efficient, improve the utilization of external research, showcase independent research and/or facilitate research distribution, not to mention those firms with solutions specifically designed to comply with the new unbundling rules. By our count, there are at least nine firms offering research management solutions designed to better organize and leverage internal and external research. There are at least thirteen firms offering to facilitate corporate access meetings. We reviewed ten firms offering services to help administer Research Payment Accounts mandated for those firms funding research payments from client assets. There were fifteen firms vying to distribute research before Airex faltered. In addition, a number of firms including Visible Alpha, Commcise, IHS Markit, Feedstock, Bloomberg, Refinitiv, and others provide research interactions data to help asset managers better value the research they consume. The implementation of research unbundling rules mandated by MiFID II has had profound effects on the global investment research, investment banking, and asset management industries. Many of these impacts have been negative as spending on sell-side and independent research has dropped sharply, while costs have been pushed from investors to asset managers. However, there are a few players in the research ecosystem who have come out as winners as a result of MiFID II, including asset owners, large asset management firms, specialized investors, and research technology & data vendors. Of course, this could change in the future as market dynamics force industry participants to continue to shift their behavior. Consequently, it is still too early to judge exactly how MiFID II will transform the investment research industry.